So, what IS it like going to school and studying your subjects in a foreign language? Mariah’s here to tell us all about the benefits of going to an immersion school and the importance of staying current in the language you learn. BGLL: Thanks for agreeing to be interviewed. Please tell us about yourself. Mariah: My name is Mariah Lisette Baylor and I’m currently located in Albany, New York. I really need to do an official Ancestry DNA test to confirm everything I’m mixed with, but what I know is: African American, Finish, German, French, English, and most likely Cherokee American Indian. BGLL: Is English your only native language? BGLL: Do you know any other languages besides Spanish? Tell me more about your Spanish language schooling experience. Mariah: I’m no longer fluent in Spanish (it’s true what they say, if you don’t use it you lose it), and only studied Spanish as a second language. I began my first formal school years (K-8) enrolled in a Spanish Immersion public school, called the Emerson S.I.L.C (Spanish Immersion Learning Center), in downtown Minneapolis, Minnesota. In High School, I also continued to study Spanish, and traveled abroad to Costa Rica. BGLL: That’s interesting. What made your parents enroll you in a Spanish Immersion public school? Mariah: I am multiracial and my mother, who is Caucasian, was trying to provide me with a multicultural schooling experience outside of the predominantly white suburban schools she and other family members had attended, as well as out of the often underserved schools in my neighborhood. I never knew what a “normal” school experience was like until high school. BGLL: What was that school like? Mariah: My K-8 school was small, around 200 students and faculty/staff. Many of my classmates and teachers were first generation Americans, spoke Spanish at home or as their native language, and had parents/family from many other Spanish speaking countries including; Mexico, Puerto Rico (US), Guatemala, Costa Rica, Nicaragua, El Salvador, Panama, Spain, Venezuela, Chile, and more. BGLL: How did you like attending this Immersion public school? What did you learn? Mariah: I loved my experience because I learned early how to appreciate others’ cultures. I also learned cultural and racial tolerance very early, which I’m thankful for. There were a handful of “American” students like myself who also attended. Many were multiracial or biracial like myself (though there were few mixed with my heritage, many were mixed with a Spanish-speaking country’s origin), but a few of the woke ones were Caucasian and African American as well lol. BGLL: What was it like in comparison to English curricula? Mariah: I’m not sure as it was the first and only schooling experience I’d had until high school. But I can say at times I struggled to learn and master certain subjects, like math and science in Spanish first, as well as presenting projects and writing essays in Spanish. I was always nervous speaking in front of native Spanish speakers, but I pushed through. There were native Spanish speaking students taking ESL classes (English as a second language) as part of their curriculum as well, and I know they struggled similarly to learn English. Everyone was struggling to communicate at some point lol, even some of the teachers. Most of our textbooks were in Spanish and we were taught American history, as well as the history of many Spanish-speaking counties. Emerson hipped us to important historical figures like Che Guevara, Cesar Chavez, Fidel Castro, Hugo Chávez, Benito Juárez, and even Pablo Escobar (I realize these are all men, we also learned about famous women, forgive my poor childhood memory). We learned the cultural cuisines, kinds of dance, and celebrated traditional holidays of Spanish-speaking countries; yes Día de los Muertos, Cinco de Mayo, among others. Imagine trying to learn everything for the first time in a language no one at home understands lol. My homework was usually up to me (though my mom tried to help as much as possible). We didn’t have great translation technology back then so all students used English-to-Spanish dictionaries. Students were expected to write (conjugate verbs) and speak to one another and the teachers in Spanish first, to ask to use the restroom, ask questions and for anything else, even addressing most teachers as “Señora or Señor. BGLL: I know we discussed that you don’t currently use Spanish anymore, do you plan to refresh your Spanish at any point in time? Did you ever use Spanish outside of school? If so, please elaborate. Mariah: Sad to say that it is true “if you don’t use it you lose it.” I do plan to refresh my Spanish, hopefully sooner rather than later. High school Spanish classes were nowhere near the level I had grown up speaking at Emerson, and though I made it to Spanish 4 before quitting language, I became lazy due to boredom. As it turned out, my college Volleyball coach at Hampton University was Mexican and recruited mostly international players (I was one of only 3 Americans at any time on my team lol). I played with young women from Columbia, Puerto Rico (US), and other countries like; Brazil, Macedonia, Bulgaria, Czech Republic, Israel, Serbia, Latvia and Canada. So I caught back up on my Spanish during that time, and learned a little bit of culture/language from the other ladies from around the world as well. They made up for my lack of study abroad in college. BGLL: What did you like about learning and speaking Spanish? What did you like about attending a Spanish language school? When did you start realizing that you were losing your ability to speak and understand Spanish as fluently as before? 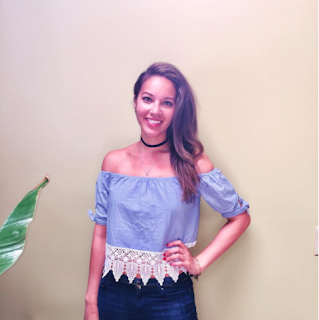 Mariah: I loved learning about the different cultures the most, either from my classmates and friends, or in a textbook. It was really cool to translate things for my family, and to have sleepovers or celebrate events at the homes of my friends who were different than me. I liked meeting my friend’s families and trying to communicate in their native language in their family homes. I knew I was losing my ability to speak the language as soon as I got to high school. My Spanish classes were much more watered down and almost remedial to me, compared to my immersive background at Emerson. I tried to stay interested and did study abroad (in Costa Rica) which helped some. But I began to forget quickly because many of my classmates were American like me, and had very little experience with the language. Also my classes were often taught using English as a crutch (unlike Emerson), which just reinforced poor habits. BGLL: Is there anything that you feel really helped you when learning and studying in Spanish? Do you have 3 tips you can offer those who are trying to learn the languages you know? Mariah: I’d say speak the language you’re trying to learn with native speakers. I’ve found people are really helpful and open when they know you’re trying to learn/show an interest in their culture respectfully. Also travel to the countries and places that will force you to use that language. It may not be feasible for someone to travel abroad, but there are neighborhoods, businesses (restaurants are awesome), and events that take place right here in the US where you can find folks who speak other languages. Seek those places and people out, respectfully of course. BGLL: Tell us more about your professional background. Mariah: I graduated from Hampton University with a Bachelor’s Degree in Broadcast Journalism, and an area of emphasis in English. My current job title is “Founder & Principal” of my PR and media firm Lisette Creative Group (LCG). I have a few accomplishments that I’m especially proud of: producing music videos for awesome artists (Sunny & Gabe, Pusha T, Corrinn, etc. ), getting my clients published to major magazines and blogs (RESPECT Magazine, The Source, AllHipHop, Jack Thriller, Mechanical Dummy, ThisIs50, ItzBizkit, etc. ), getting my clients major label meetings and showcases (most recently with Republic Records, Atlantic Records, and Casablanca Records), and interning/working for major companies (BBDO Advertising, SJI/Sports Journalism Institute, The FADER, The Hollywood Reporter, Karmaloop TV, and Cox Cable among others). I’m proud to have had the opportunity to work on PR campaigns for my Alma Mater Hampton University, in collaboration with ESPN SportsCenter on the Road, REVOLT TV’s CEO at the time Keith Clinkscales, National Geographic’s CEO Gary Knell, author and speaker Michael Eric Dyson, and The Hampton University Proton Therapy Institute (HUPTI) among others. As well as LCG campaigns with iHeart Media, Entercom Communications, Live Nation and others. BGLL: Tell me more about your PR experience and writing gig that you have at BAUCE Mag. Mariah: I didn’t study traditional PR at Hampton, as I majored in broadcast journalism. But I was always curious about the field. After graduating, a friend from high school and fellow entertainment publicist in New York (Europe Angelique), taught me everything she knew about the PR game. I studied her and learned a lot on my own. I then decided to start my own LLC (LCG PR), and began taking on clients. Most of which were emerging artists, professional athletes and small businesses (Thank God VA & NYC are major breeding grounds for entertainment talent). Eventually, as my contacts grew (from networking and, yes, doing certain jobs for free), I graduated to larger and larger campaigns. In 2015, I took a PR position as “Manager for Multimedia Relations” at Hampton and was fortunate to work on some major campaigns mentioned above. That experience boosted my résumé extensively and has helped me get to the place I am now with LCG. I became familiar with BAUCE Magazine at random while on social media. I began reading their articles regularly, then joined the BAUCE Admin Slack group, which eventually led me to want to write for the magazine. So far, I’ve written six pieces. I love the positive and professional aura of the magazine, and especially gravitate toward it because it’s focused on women of color like myself. We need professional and self-love outlets like this that are tailored to our needs. I’m down to help add to that narrative any day! BGLL: How can we keep up with you on social media?